Police had to use a spike strip in the Clairemont Mesa area to stop a speeding driver, who was in custody Friday on lieu of $50,000 bail. 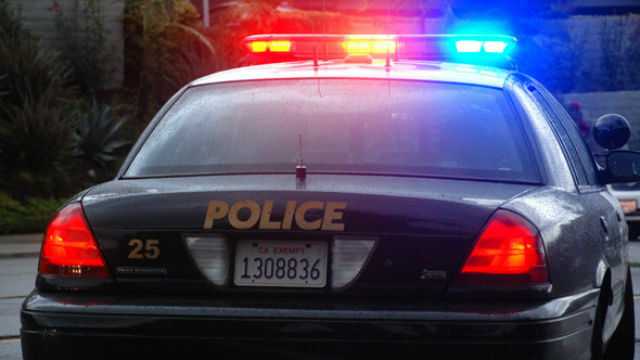 An officer noticed a speeding van around 11:50 p.m. Thursday and tried to get the driver to pull over on Lakehurst Avenue near Clairemont Drive, just north of Clairemont Mesa Boulevard, according to San Diego police Sgt. Michael Stirk. But the driver wouldn’t stop and blew through multiple red lights, he said. Police continued to chase the van west toward Interstate 5. Officers deployed a spike strip, which blew out at least one of the van’s tires, but the driver was still able to get onto northbound I-5 before the vehicle became disabled, Stirk said. The driver, identified as 20-year-old Brendan Doyle, was quickly taken into arrested on Balboa Avenue just east of the freeway. Police also detained a female passenger in the van, but she was later released. Doyle was being held on suspicion of felony evasion at the San Diego Central Jail.